Julie R. Sinclair is the U.S. Centers for Disease Control and Prevention (CDC) One Health Liaison to the World Organisation for Animal Health (OIE) based in Paris, France since May 2016. 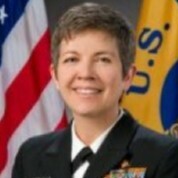 She previously served as Senior Quarantine Veterinary Medical Officer in the Division of Global Migration and Quarantine/National Center for Emerging and Zoonotic Infectious Diseases/Centers for Disease Control and Prevention (CDC) where she served as both a medical officer and subject matter expert in zoonotic diseases, border health, and importation policies and regulations. She received a Bachelor of Arts in Political Science from Kansas State University and a Masters of Arts in Near Eastern Studies from Princeton University before joining the U.S. Peace Corps as a Small Animal Husbandry volunteer in Togo. She then interned with the Foreign Affairs and National Defense Division/Congressional Research Service before returning overseas as an Associate Logistic Officer/Junior Professional Officer with the United Nations’ High Commissioner for Refugees in Malawi. In 1995 she returned to Kansas State University to pursue a Doctorate of Veterinary Medicine following which she practiced veterinary medicine in Bucks County, Pennsylvania. In 2003, she received a Masters of Public Health (Epidemiology) and a Vaccine Science Certificate from Johns Hopkins University. She then worked as a research microbiologist on an E. coli O157:H7 tenderized beef project for the U.S. Department of Agriculture. In 2004, she joined CDC and the U.S. Public Health Service as an Epidemic Intelligence Service Officer assigned to the West Virginia Department of Health and Human Resources. With CDC, she has deployed to India, Hurricane Katrina, Haiti, Guinea, Cote d’Ivoire, and the Dominican Republic (U.S.S. Kearsarge) working on projects as varied as polio, cholera, animal health and immunization, and Ebola.